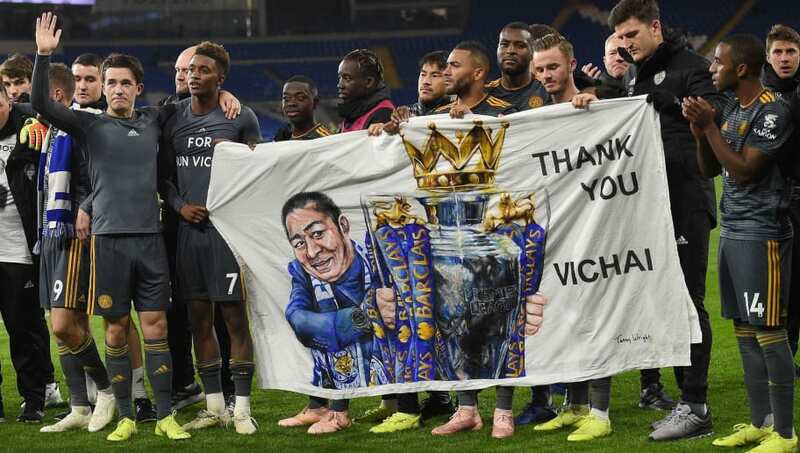 Leicester City have honoured their late owner Vichai Srivaddhanaprabha by naming the club's foundation after him. Previously known as the LCFC Foxes Foundation, the entity has raised nearly £2m for local charities, also helping fund the renovation of the Leicester Royal Infirmary's Children's Outpatient Ward and acquiring life-saving equipment for the Children's Intensive Care Unit. The 60-year-old was one of five individuals who died in a helicopter crash while attempting to leave the King Power Stadium after the Foxes drew 1-1 with West Ham on October 27. He acquired control of the club in 2010 and they made incredible strides under his ownership, even winning the Premier League title in 2016. "The LCFC Foxes Foundation has been renamed The Vichai Srivaddhanaprabha Foundation in honour of the Club’s Chairman, who tragically lost his life alongside four others, on Saturday 27 October," the club announced via their official website on Tuesday. "Since its formation in 2011/12, the Foundation has raised almost £2M for local charities, helping fund a renovation of Leicester Royal Infirmary’s Children’s Outpatient Ward and life-saving equipment desperately needed by the Children’s Intensive Care Unit. "The LCFC Foxes Foundation aimed to use football as a force for good in the community. Under its new name, The Vichai Srivaddhanaprabha Foundation will continue to build on that life-changing work in a way that reflects the generosity, care and love of a man who made over £4M in personal donations to the city’s universities, hospitals and charities in recent years." Leicester are also set to auction various items off in order to raise money for the newly-renamed foundation. Jamie Vardy's executive box, which seats 10 people, will be among things available for Leicester's home game against Burnley on Saturday. The striker's 'Khun Vichai' which he wore against Cardiff on the weekend boots will also be up for grabs, while Kasper Schmeichel's gloves can be had for a winning bid as well. Successful bidders will be notified on Thursday morning.